Given that Polydor was somewhat of a major label, the fact that not many of these gems turn up is utterly baffling. I am guessing they must not have pressed up that many of these singles – which is a crime. The few that do see the light of day are usually pretty beat – like this copy. If Polydor of Ghana did put out any other records, I would love to hear them. If they’re anything like the ones listed above – they’re probably pretty amazing. The A side to this single – “Aya Lolo” – as well as two tracks by The Big Beats and one by The Psychedelic Aliens can be found over at the legendary Voodoo Funk. If you have any further information on The Barbecues or Polydor of Ghana, please contact me or leave a comment. Catalog number PLD 2080105 1F on Polydor of Ghana. No other information available. Highlife is a dance music that originated in Ghana and spread to most of West Africa, and it represents one of the last century’s first fusions of African roots and western music. Trumpeter and bandleader E.T. 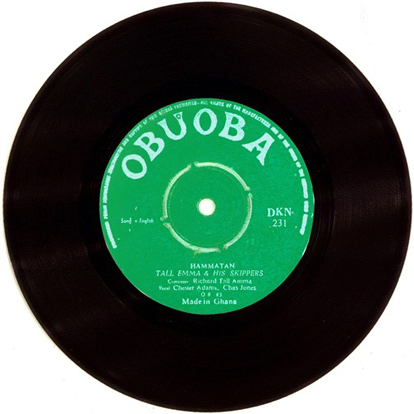 Mensah, who was born in 1919 in Accra, is generally credited with the creation of the genre. He formed his first band in 1930s and went on to be crowned the King of Highlife. The World War II era introduced American swing to the highlife mix, already a blend of Trinidadian calypso, military brass band music, Cuban son and older African song forms. Then with the introduction of the electric guitar and the synthesizer, the music started to incorporate more rock ‘n’ roll elements. By the late Sixties, the influence of the psychedelic music of America and England started to show its influence on the music of Africa. Pat Thomas was born in Agona, in the Ashanti Region of Ghana. His father who was a music teacher and a mother who was a band leader. Pat has always been in love with music from an early age, and he learned a lot of band organization and music writing from his uncle Onyina who played with Nat King Cole, Miriam Makeba, Ray Charles and Ella Fitzgerald. It was during his stay with his uncle that he learned how to play the guitar and drums. In the early 70’s he went to Accra to join a band known as The Blue Monks under the leadership of Ebo Taylor. This was the resident band of Tip Toe Nite Club. It was during one of his shows that one Caucasian lady who was in attendance fell in love with his voice and signed him up to go to Côte d’Ivoire to form a group called The Satellites. He later came back to Ghana to form The Sweat Beans Band, which became the band of choice during the Kutu Acheampong Era. In July of 1976, Pat Thomas was recognized by the Arts Council of Ghana as “Nana Amu Mensah I” for his contribution to music. Also that year, as well as the following year, he was awarded the Vocalist of the Year by the Entertainment Critics and Reviewers Association of Ghana. In 1991 he also won the Album of the Year with his “Sika Ye Mogya” song. After moving to Germany, and then on to London, Pat eventually settled in Toronto, Canada. But after 15 years, he decided to go back to Ghana, where he still records and performs. 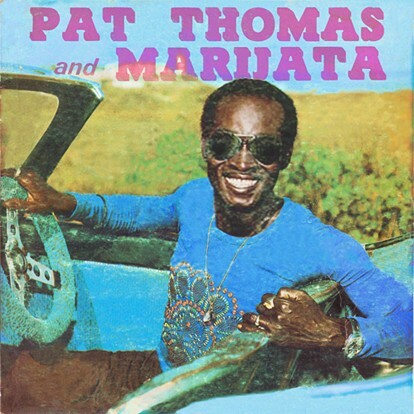 The core members of Pat Thomas’s backing band Marijata were Kofi “Electrik” Addison on drums, Bob Fischian on keyboards and Nate Osmanu on guitar, all of which had been in The Sweat Beans Band. Marijata, as well as Ebo Taylor, were featured on both of Soundway Records’ first and second volumes of the Ghana Soundz compilations. 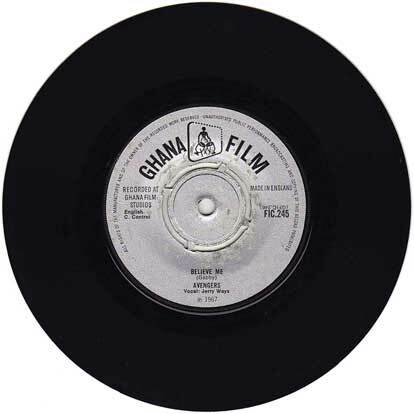 Catalog number GAPLP 771 on Gapophone Records of Accra, Ghana, pressed in Nigeria. No release date listed. Tall Emma & His Skippers were from Ghana. Unfortunately this record, like many singles from Africa, doesn’t have a picture sleeve. I can only imagine what they must have looked like. The only information I have been able to find about this band is from a mention from an article by Miles Cleret from Soundway Records. 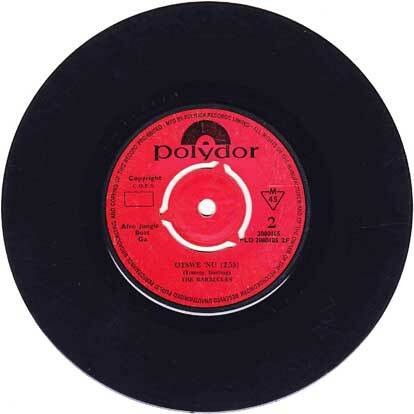 While the single is credited to “Tall Emma”, the song writing credit is “Richard Tall Amma”. Also, the vocals are credited to Chester Adams, who went on to play in the Uppers International and the Kamela Band. Hammatan is the Ghanaian Twi word for the cold dry air blows off the Sahara in the Winter. If you know anything about them, especially if there is any more recordings by them, please contact me. Catalog number DKN 231 on Obuoba of Ghana. No other information available.